Chicken Program #2: Finished Tractor! 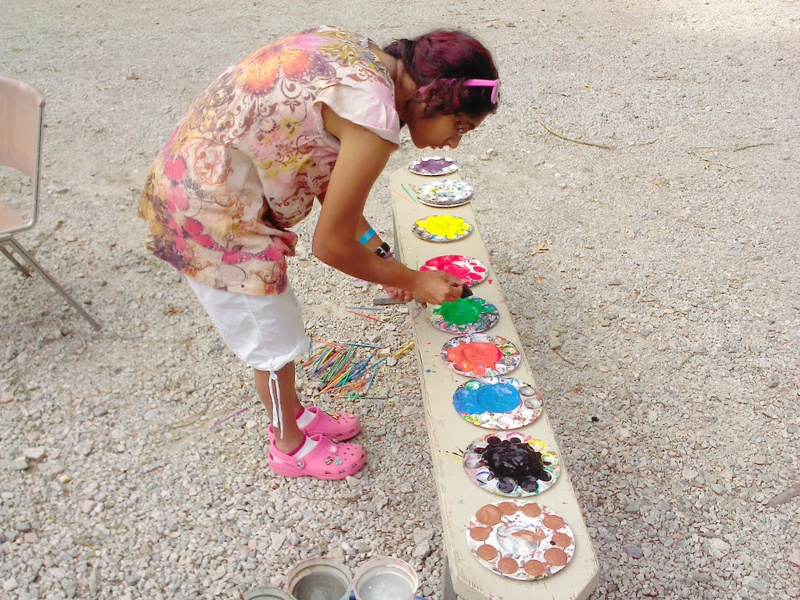 We made many different colors of paint (acrylic) available to girls aged 6-9 (and the helping CIT2’s). I didn’t know exactly what would happen in this mural of craziness, but with lots of kids having paintbrushes, this could be interesting. We have many colors available to paint the white coop. 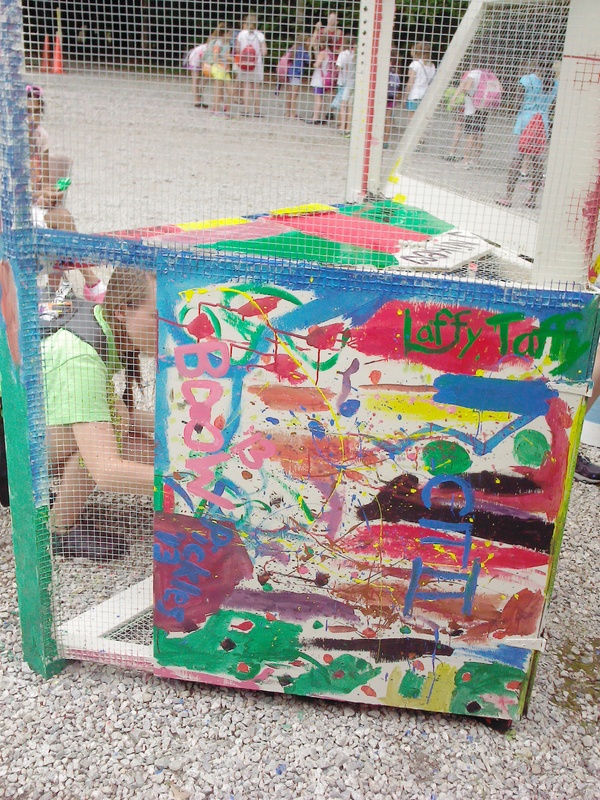 And, it sort of looks like a seizure patient fell into paint, then onto a chicken coop. However, it should be very well sealed from the rain. I also put on a sealant, which should help. 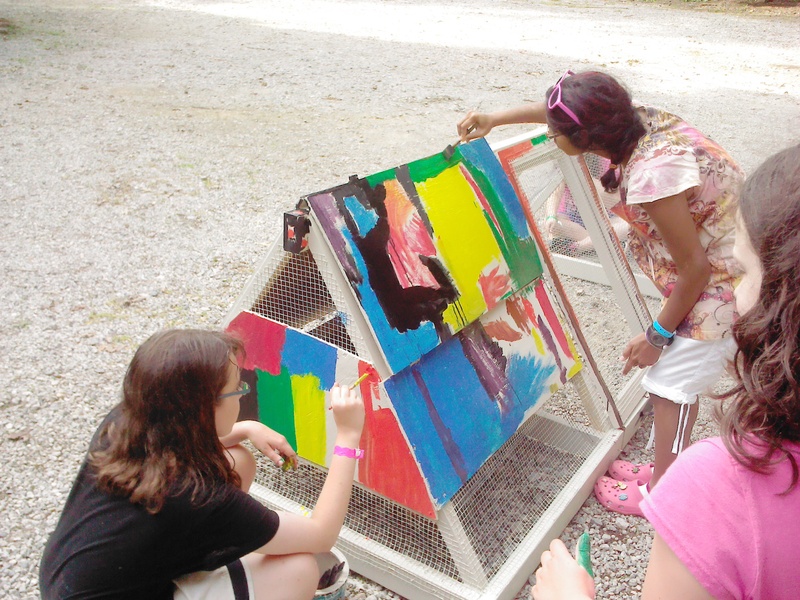 The girls also had a LOT of fun splattering paint on the coop. This situation is also MUCH better for the chickens, now that the humidity has spiked to really high levels (lots of thunderstorms predicted for the week)!